Wow, where did the past two weeks go? I'm sorry I kind of dropped off the face of the earth... blame finals! But now I'm officially on spring break from school (one more quarter until I'm done!). And it actually feels like spring around here... Chicago has been in the 70's lately and we still have a few more nice days ahead. Love it, love it. I have to get you all caught up on book club! Four of us met a couple weeks back at Wilde. It was my turn to host but with everything going on, I suggested we meet at this awesome Irish pub/restaurant for a late afternoon snack... and some wine, of course. The dark wood and layout of the restaurant makes for cozy conversation. And what an appropriate place to meet for book club, considering the place is named after Oscar Wilde... For a meal, I usually go with the small portion of mac and cheese (so cheesy with bits of bacon, caramelized onion, tomato, and garlic bread crumbs in it) plus a side salad. But since it was only 4 pm, I just went with a little grease... onion rings! The other girls tried some artichoke-cheddar dip and sweet potato fries. Yum! As for the book, The Devil in the White City... at the time of the meeting, I was only about halfway done. But since then, I finished it—so maybe it worked out that this post is delayed. Overall, we all really enjoyed the setting of Chicago and the history of the 1893 World's Fair. (One of the girls told us that her company used to have their offices in the Rookery, where the architect of the fair had worked!) Though the book felt a bit slow at times, the story itself was just plain fascinating... especially since it was based on true events. As the author states at the end, "The juxtaposition of pride and unfathomed evil struck me as offering powerful insights into the nature of men and their ambitions. The more I read about the fair, the more entranced I became." I thought the details and descriptions really made the story come alive, and there was plenty of suspense (will they complete the fair in time? who will be the serial killer's next victim?). The scale of the fair was incredible with the creation of massive buildings and the first Ferris wheel, hundreds of thousands of workers and attendees, and worldwide attention—especially impressive considering the time period. I didn't realize all the new technology, inventions, architectural advances, and historical figures involved in the creation of the fair either. If you're looking for an interesting historical read, all of us would recommend it! And for next month, we decided that it would be good to choose a classic book. Since I was in a Jane Austen literature class this past quarter (an elective that I was SO excited about... I love Austen! ), we selected Persuasion. 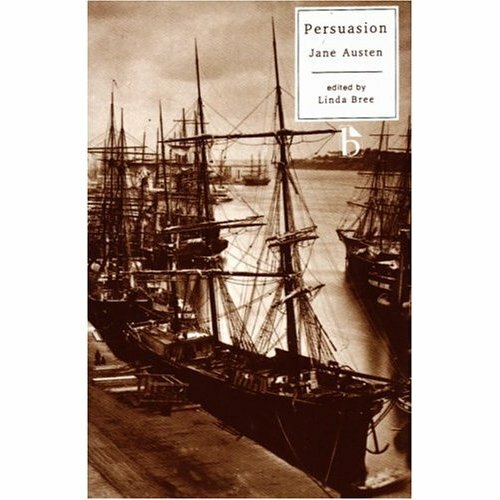 Though Pride and Prejudice is Austen's most popular novel, Persuasion is also one of my favorites of hers. 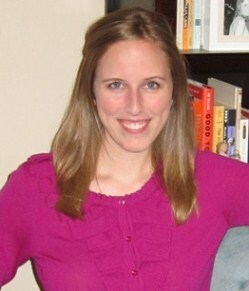 It was the last of her six novels and has a different tone—more mature and full of emotion. Many consider Anne Elliot their favorite of Austen's heroines... plus the premise of the story reads like the basis of a modern day rom-com. I can't wait to hear what the other girls think of it... and to share a little of the background and discussion from my class. Have you watched the 2007 BBC adaptation of Persuasion? Sooo good. I've seen the BBC Pride and Prejudice, but not Persuasion! My class had a whole discussion on which of the film adaptions were good and bad... thanks for the reco!